Have your Los Angeles and Southern California small business clients ever asked you for help in managing their finances? Such a request is not uncommon for professionals in your position. When making such requests of bankers, investors and financiers, small business owners and executives often share their financial statements and books with them. Unfortunately, it’s also not uncommon for the numbers in these financial statements and books to be inaccurate, inconsistent and, to put it bluntly, often not make any sense. In this scenario, it might make sense for you to bring in an outsourced CFO services provider to help straighten out the numbers before action can be taken to help the client improve financial management. A business’ financial “books” consist of the data that is complied by its accounting system, which is the core component of the company’s financial operations. These books should enable the accounting staff to generate financial statements (i.e., balance sheet, cash flow statement, and income statement) in accordance with generally accepted accounting principles (GAAP) that satisfy traditional compliance requirements for lenders, tax returns, etc. § The inability to secure bank financing or venture capital, and/or to support existing loan covenants. § Difficulties when it comes to passing a financial audit. § Roadblocks and obstacles in completing a merger or acquisition. § Inaccurate tax returns and resulting tax penalties and interest liabilities. Small businesses often don’t have adequate internal resources, either financial or personnel, to clean up the books themselves. Perhaps the abilities of the existing financial staff have been outgrown, or they don’t have the needed expertise in the client’s industry or in a particular area. An outsourced CFO services provider can come in and get the books in order by making sure they are accurate, in compliance and prepared in accordance with GAAP. This can help your clients avoid problems like those noted above. Many of the problems that we see with small business books and financial statements can be traced back to a lack of adequate financial controls. Controls are the policies, procedures and processes that govern data entry into the books. Without adequate controls, an accounting system is vulnerable to GIGO: garbage-in, garbage out. The key to financial controls is consistency — data must be entered consistently and systematically. A basic control for inputting data into the profit and loss statement is making sure expenses are categorized consistently over time. If they aren’t, businesses end up with numbers that don’t make sense and they (or an outsourced CFO services provider they hire) have to dig back through months of expenses and re-categorize them. For example, similar expense items should always be charged to the same expense account. So a magazine subscription would not be charged to “dues and subscriptions” one month and “continuing education” the next month. Similarly, gasoline would not be charged to “automobile expenses” one month and “travel and entertainment” the next. An outsourced CFO services provider can help “stop the bleeding” for clients whose poor numbers are leading to financial problems, and then help these clients put proper controls in place so that data is entered correctly and consistently in the future. This will help ensure that the accounting system generates solid numbers that will stand up to the scrutiny of bankers, investors, financiers and other stakeholders. Such a provider will bring industry best practices to the table that not only help ensure good numbers for your clients, but also enable your clients to move beyond simple financial accounting to more strategic and advanced financial initiatives. These may include making detailed financial projections, performing cost analysis, improving cash management, making inventory projections, and measuring and improving operational and financial performance. When your clients ask you for help in managing their finances, the first thing to determine is whether or not their numbers make sense. If they don’t, you may need to bring in an outsourced CFO services provider to help straighten out the numbers before action can be taken to help the client improve financial management. 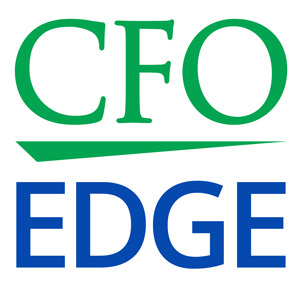 An outsourced CFO services provider will bring industry best practices to the table that not only help ensure good numbers for your clients, but also enable them to move beyond simple financial accounting to more strategic and advanced financial initiatives.